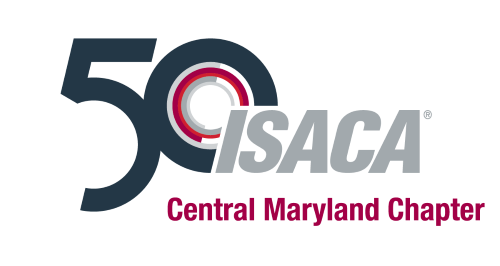 ISACA Central Maryland Chapter invites you to an all day monthly meeting on February 13, 2019. Earn 7 CPEs toward your CISM, CISA, or other certification. The training session is conveniently located at The Conference Center at the Maritime Institute (CCMIT) in Linthicum, Maryland. In these turbulent times, ethics continues to be a frequent topic of corporate, shareholder, stakeholder, and regulatory conversations. Companies continue to look for ways to emphasize the importance of strong ethics, integrity, and proper conduct and seek strategies to embed processes within their organizational structure. Yet, incidents of bad behavior still occur. It is an ever-evolving phenomenon. Once we find the answer to address a specific issue, another question or problem arises. Ethics impacts every professional's job regardless of status, tenure, or selected profession. For internal auditors, ethics can become a very sensitive issue and political dilemma when attempting to execute their responsibilities and fiduciary duties. Internal auditors are often put in positions where they must make difficult and uncomfortable inquiries. It can appear to management as an attack on personal integrity or on personal morals and ethics. This session focuses on the need for the auditor to be involved in the various phase of the SDLC process, the different types of review that can be done based on timing and staffing, the risks the audit involvement should help to avoid. Time allocation by risk area Value add process for selecting the applications that pose the greatest risk to the company, along with the time allocation, audit steps, and reporting requirements. Most corporations have social media sites for their customers and clients. These sites could be sources of security risks for the company and the personnel using them. This session will discuss these issues from the corporation’s perspective and from the individual’s perspective. Late Registrations/Cancellations after February 8, 2019: No additional charge for this meeting, however please note that space is limited for this event; registrations will be filled on a first come, first served basis. Please note refunds will not be given after February 8, although attendance is transferable. ISACA Central Maryland Chapter reserves the right to cancel this event if there is insufficient participation or due to inclement weather. Participants will be notified in the event that the monthly meeting has been cancelled.